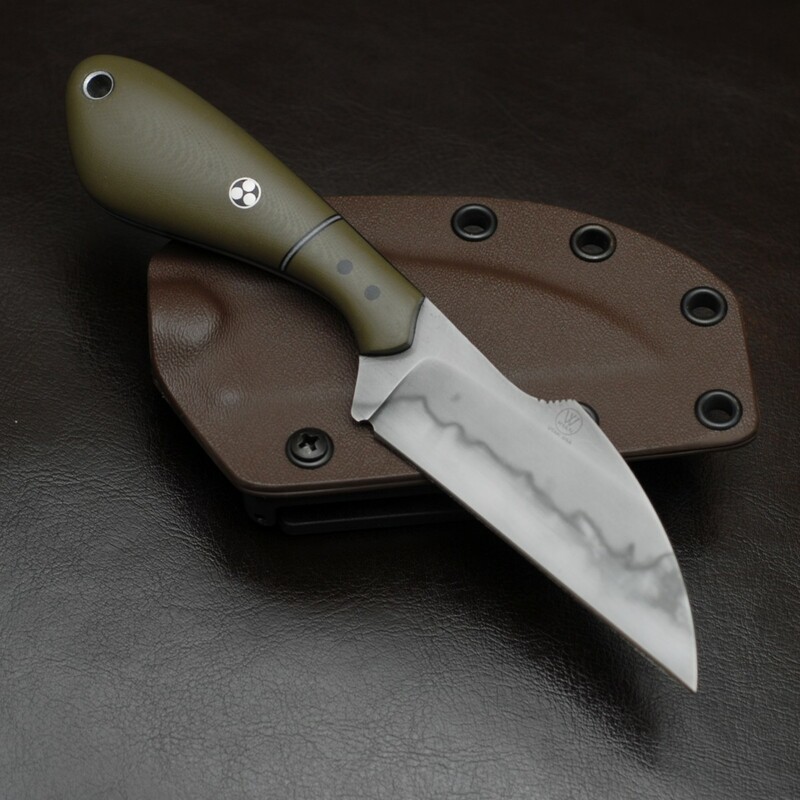 There are a few variations of my “Saddleback” (Belt Knife, Skinner and Folder). 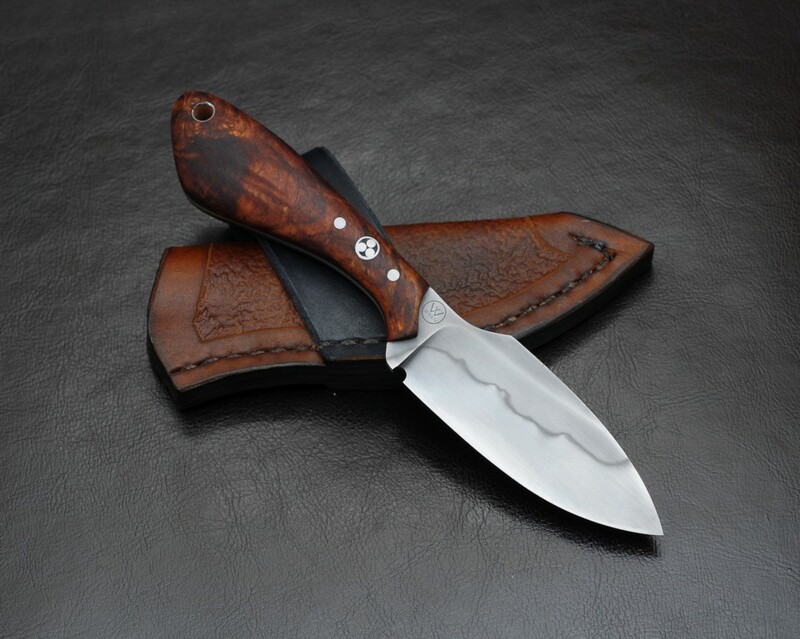 My preferred carry is in a horizontal leather sheath but can be ordered with a Kydex sheath. 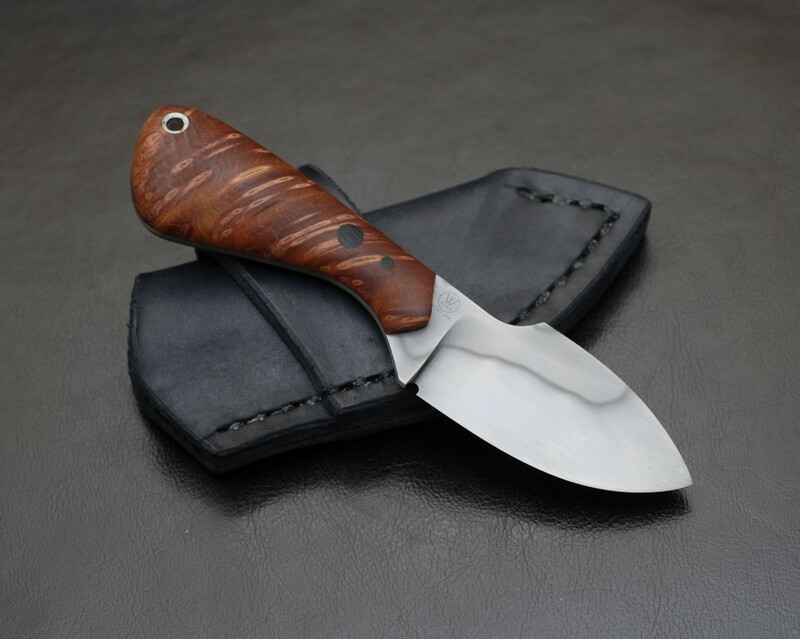 “Belt” version can be ordered as a Drop Point or Modified Wharnie (Sheeps Foot) Blade that works well as a EDC Utility knife. 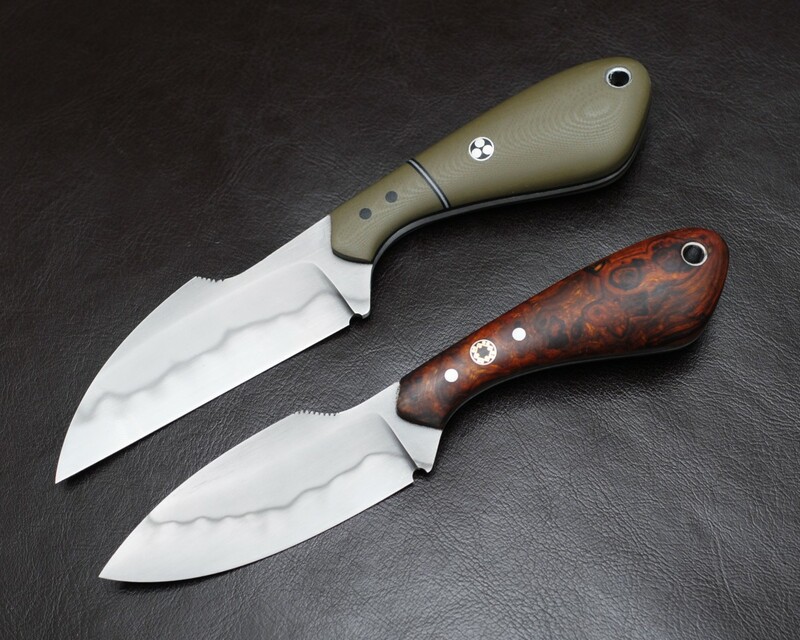 This is the Saddleback Skinner, features a Shorter blade than the Belt Version… This was designed for the local Bow Hunters of Utah!